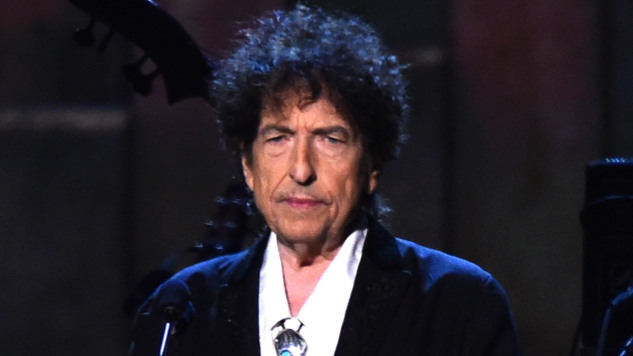 Listen to Bob Dylan's Take On "My One and Only Love"
For his forthcoming work, Bob Dylan seems to have let his edge go, opting instead for a dreamy nostalgia. The song “My One and Only Love,” from the first disk of his forthcoming first-ever triple album Triplicate, was most famously performed by Frank Sinatra. Dylan’s cover is awash with that flavor of romance that, in the hands of a lesser singer, would be written off as kitsch. Dylan, however, deserves credit for bringing attention to the song’s vivid imagery, written years before his own Nobel Prize-winning work. The track is a low-risk interpretation of a very good song. Listen to the track below, and learn more about Dylan’s three-disk set, to be released March 31, here. You can also watch Paste Cloud video of Bob Dylan performing circa 1988 further down, and read Paste’s reviews of Dylan’s previous Sinatra covers albums Shadows in the Night and Fallen Angels here and here, respectively.